It was an evening like no other. 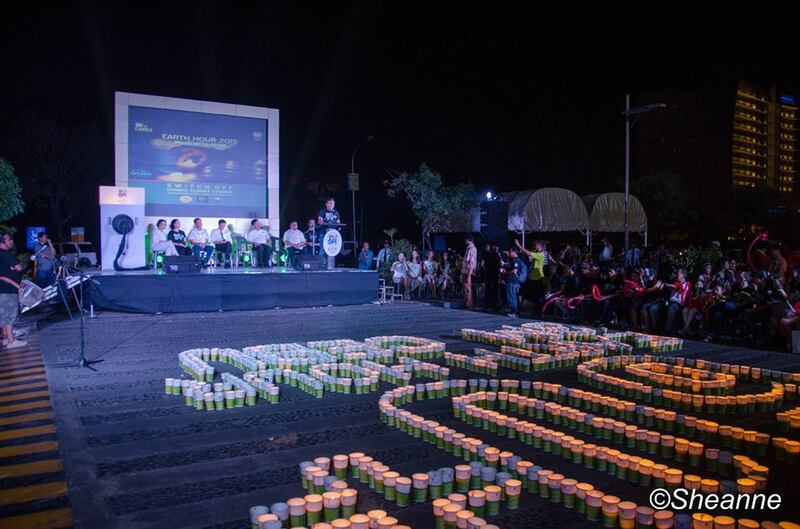 Guests as well as curious onlookers gathered at SM Cebu parking lot to celebrate Earth Hour 2015, a worldwide environmental campaign that encourages people to switch off their lights for one hour to conserve energy and create awareness on climate change. 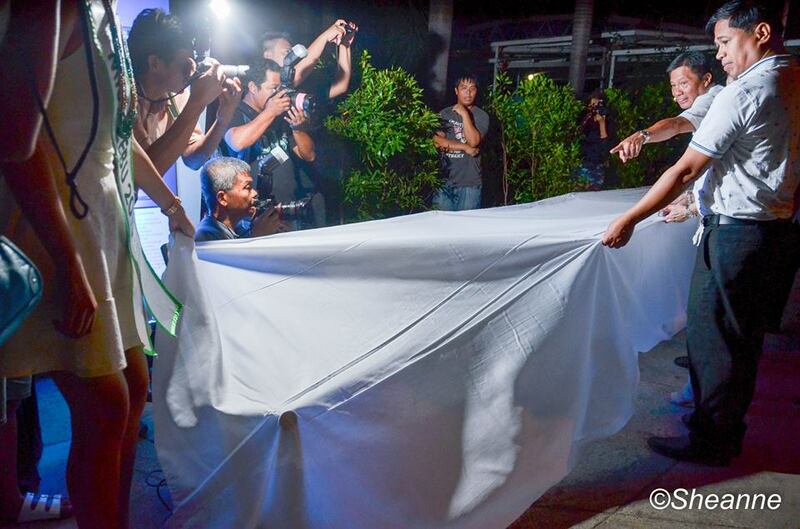 At 8:30 PM, Cebu City Mayor Mike Rama and Councilors Nestor Archival Sr., Margot Osmena, Nida Cabrera and Alvin Dizon started the ceremony by pulling out a giant plug to signal the official switch-off in the entire mall which ushered in a lively tribal music and a breathtaking performance from the shadow cast and fire dancers. A view of the stage before everything went dark. 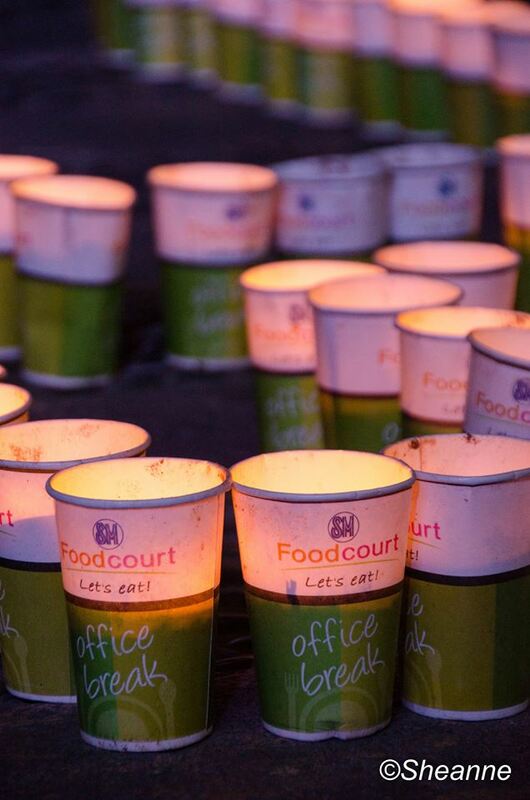 Paper cups with lighted candles were lined up and spelled: “60+ Earth Hour”. 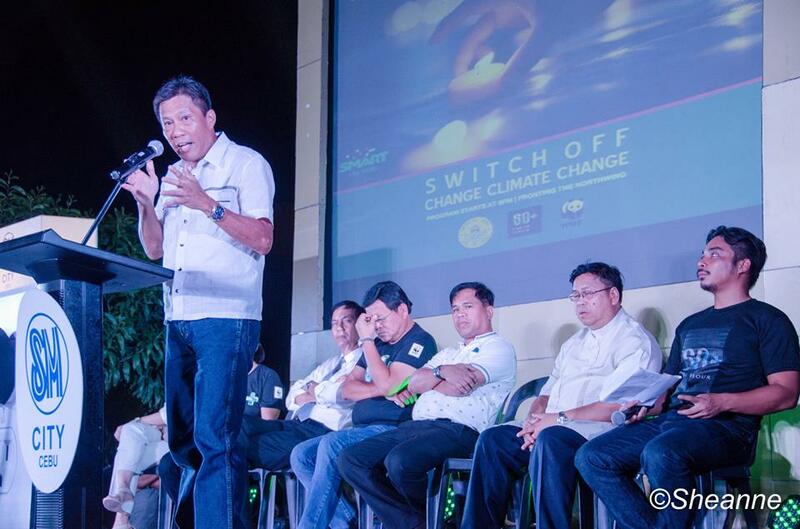 Councilor Archival points out in his speech why it’s important for us to conserve electricity as there are millions of Filipinos out there who unfortunately still do not have access to electricity. 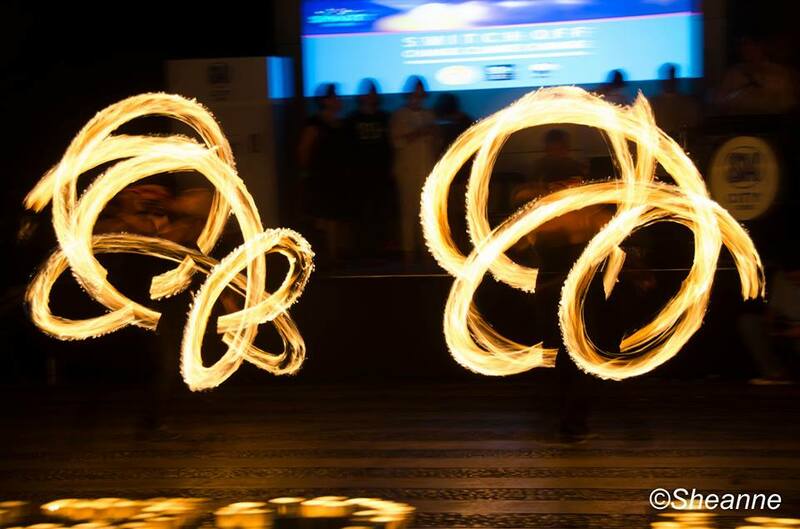 Time stood still while everyone watched in awe as one of the fire dancers spews a ‘fiery’ performance. And here’s another one. Looks pretty legit to me. 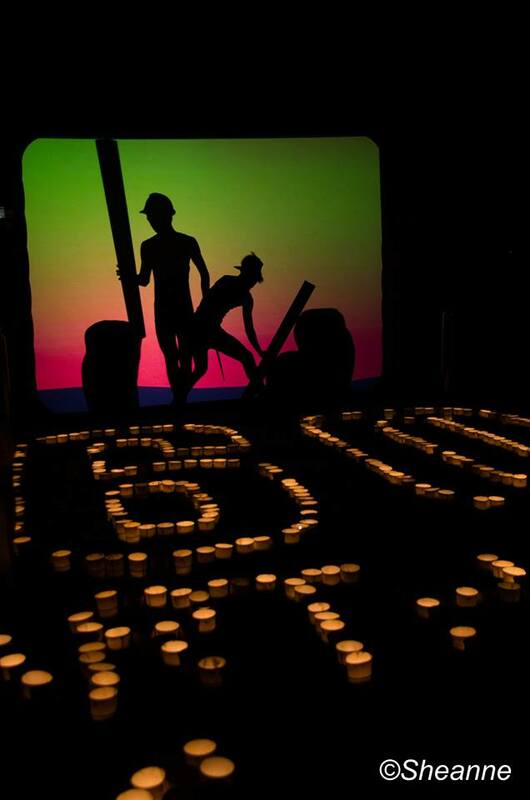 Before the Earth Hour finally ended, the Knapsack Dancers showcased their shadow cast performance that speaks of the abuse mankind has done to Mother Earth and why making the right choices now will make a difference in providing a sustainable future for our children. 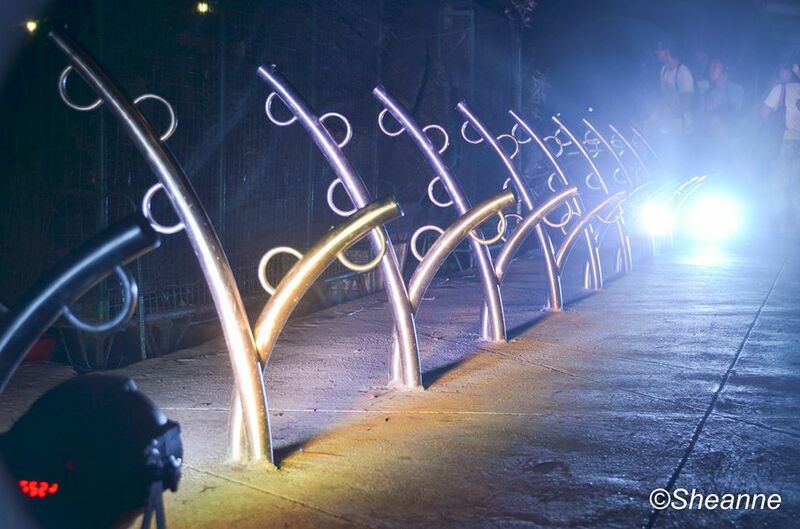 A new set of bike racks was later unveiled (located at a parking lot right across Radisson Blu Hotel). This is definitely an awesome move by SM Cebu to promote biking culture in the metropolis and help reduce carbon emissions from cars and other automobiles. I hope other business establishments will follow suit because having more bike parks would mean that we’re not only helping save our planet from the damaging effects of climate change, we’re also helping people get in shape. 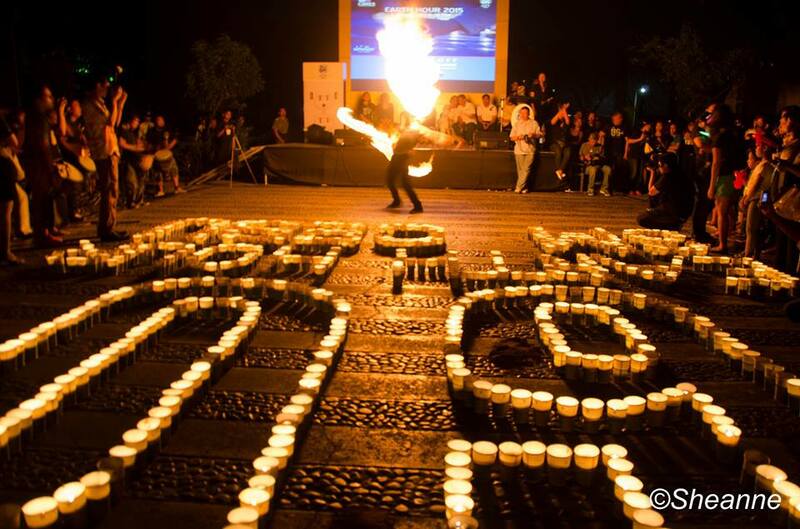 If you want to know more on how you can take action against climate change, join in the Earth Hour movement. It’s never too late to do our part in protecting the environment.